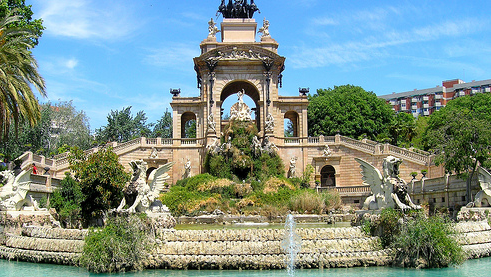 The Parc de la Ciutadella is a park located in the center of Barcelona. It was built on the grounds left by a citadel destroyed in 1868 and which give it its name for the universal exhibition of 1888. It is located in the old town of Barcelona between the Gare de France, the Arc de Triomphe and the Olympic City between Pujades, Picasso and Wellington streets. It has 10 entrances and extends over 17 hectares, part of which is occupied by the zoo of Barcelona.